There it is again. That feeling that I’ve done this before. That I’ve experienced this action, this moment, more times then I can count. Sure, everyone has this thought now and again. But the sensation is coming more frequently then before. Two, maybe even three times a day. It’s like I’m not just experiencing something I have before, I’m living a life that I’ve lived before. And it always ends the same. My goal today is to revise at least one chapter. Of course, that’s my goal everyday, and if it happened then I would be long done by now. But some days I revise four of five. Maybe it all evens out? Either way, even on vacation, I continue my pursuit. I’ll try not to get to distracted. 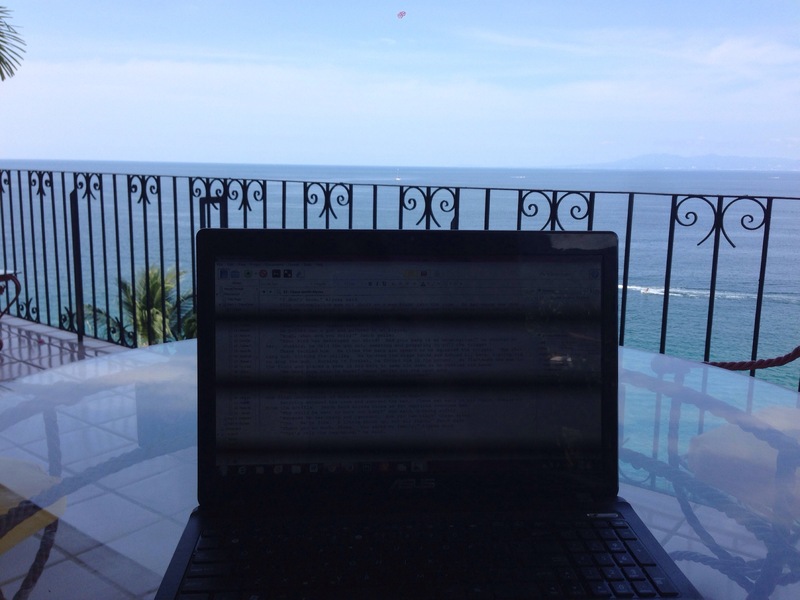 Today’s Flash fiction is brought to you from Mexico! I’m on vacation. Enjoy!! “Where did you get this?” Lola asked. I knew by her tone that she was begging for me to lie. But my days of coddling her feelings were long past. “Where do you think?” I asked, bluntly. “You’d better have a good reason for dragging me out of bed at 3 AM,” Jack barked indifferently to the situation room full of his coworkers, bosses, and subordinates. “I have this fantasy,” Gary said aloud as he lay in his safe place. “Go on,” the therapist probed. Serg drew long a long breath through his pipe. As he inhaled, he felt a sensation of peace rush down his throat. He held it there momentarily, savoring its flavor. With despair, he released the smoke slowly into the air. He slumped in his chair and laid his pipe on the table beside him. The den was dark and lit sparsely with only a few candles. He preferred it this way. The simulated solitude allowed him to disappear into himself.